Finding the perfect colour to suit your garage door is easy. 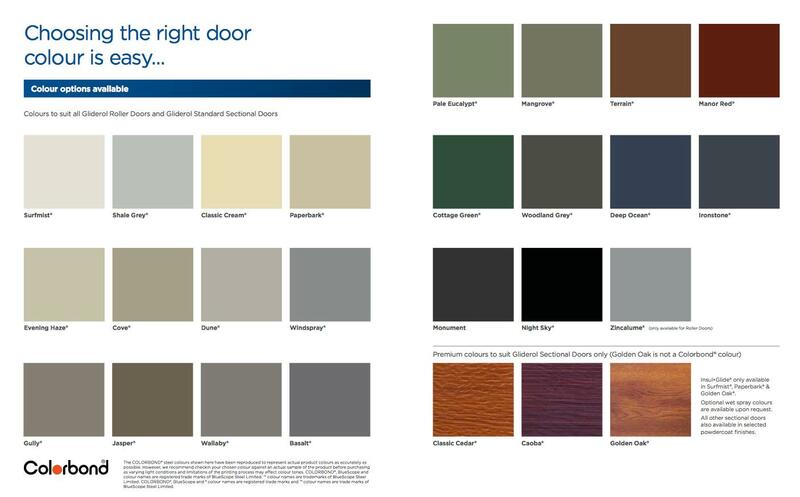 Whether your home is modern or traditional, COLORBOND® steel gives you the ability to create the right colour scheme for your garage door. As a real estate agent with a large rent roll and my role being solely maintenance coordination, I rely on good trades people. Part of the team of trades people I use is Sesame Garage Doors. First National Hills Direct has appointed Vicki and Michael Renehan and their team to complete various jobs for over three years now. I have always found the team at Sesame Garage Doors to be reliable and professional and I would not hesitate in recommending them to anyone who needs a new garage door/motor and/or repairs to an existing one. © 2015-2018 Sesame Garage Doors. All Rights Reserved.